$329. Big Kahuna Water Slide Single Lane slide. Can't make it the beach? Bring the waves to you with this popular inflatable water slide. 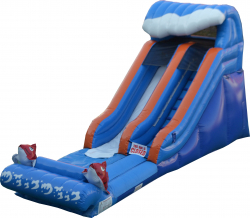 The Big Kahuna will bring BIG fun and memories to your gathering.